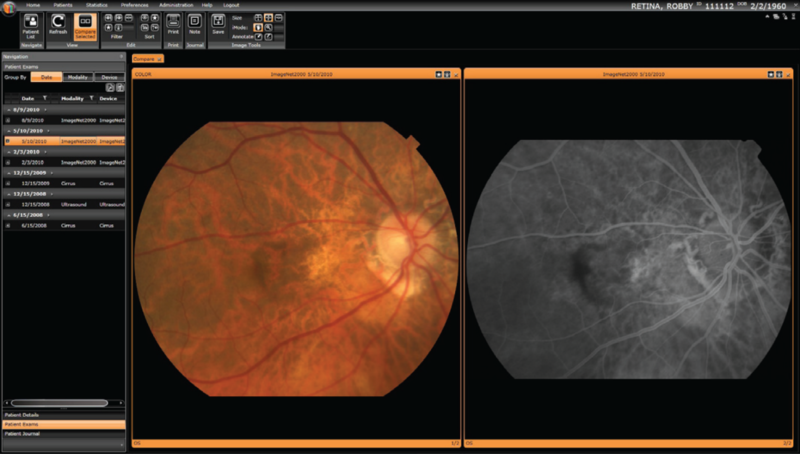 The iMedicWare Image Manager integrates with Topcon Synergy™, providing ophthalmologists with simple, yet powerful, image manipulation features to assist with the diagnosis and treatment of patients. iMedicWare's integration with Topcon Synergy takes their robust image manager and makes it one of the most powerful tools that an ophthalmologist can have. iMedicWare, a leading provider of EHR and EPM software for the ophthalmic community, announces that its proprietary and innovative image management software now provides dynamic image manipulation features with the integration of Topcon Medical Systems’ Synergy™. Via a single button in the Image Manager, a wide range of image manipulation functionalities are available to ophthalmologists using iMedicWare electronic health records. Synergy™ is an ophthalmic data management system that integrates images and reports into a single view within iMedicWare. It also provides ophthalmologists with the ability to view, compare, annotate, manipulate, and transmit diagnostic testing images. Topcon Synergy™ integration allows ophthalmologists to access not just a patient’s diagnostic images, but the many data points that determine the structure and composition of these images. These data points can be manipulated and displayed in many different ways to assist with the task of interpretation. This gives iMedicWare's physicians the ability to make design adjustments long after an image has been captured, and even if they are on the other side of the world. With the integration of Topcon Synergy™, in addition to DICOM connectivity, iMedicWare users now have one of the most robust testing & image management systems, which has been specifically tailored for their ophthalmic practices’ needs. iMedicWare Inc. is a leading provider of certified EMR/EPM and ASC software specifically designed for ophthalmologists. Founded in 2006, iMedicWare was created by a group of leading specialty ophthalmologists who sought to create an efficient, paperless, solution. They wanted a product specifically geared towards maximizing the efficiency of their practices, while also being comprehensive, easy to use, and customizable. Their different backgrounds allowed them to design software that would perfectly fit any ophthalmological practice, from general to pediatric ophthalmologists, including all ophthalmological subspecialties like neuro-ophthalmology, corneal surgeons, and retina specialists. The end result is that iMedicWare delivers the best, physician-approved, EMR, EPM, and ASC software solutions for ophthalmology practices and ambulatory surgery centers of any size, specialty, and scope. Synergy permits the side-by-side comparison of multiple imagesThis allows iMedicWare's physicians to easily identify any changes in a patient’s eye health. 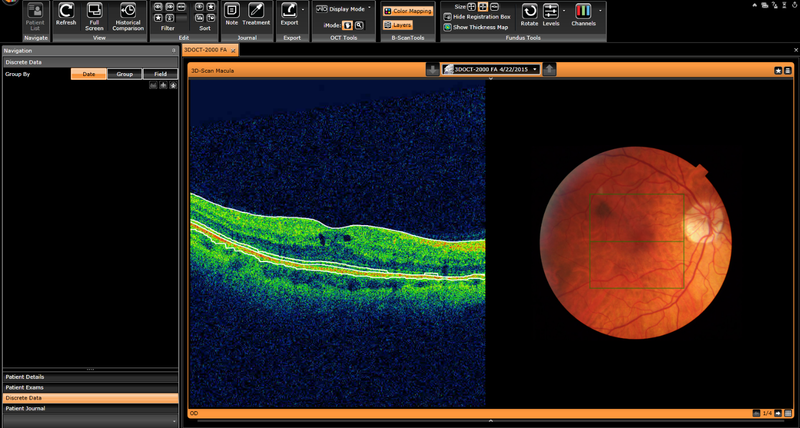 Using Synergy, iMedicware users can stitch together a series of images in order to view a wide area of the retina. 3D Scan of Patient's MaculaiMedicWare customers will easily be able to enlarge, rotate, manipulate, annotate, and zoom into any part of an image.